Would you like to reduce the appearance of fine lines and wrinkles? Would you love to get rid of that muffin top? Do you have pesky hair that you would like to have permanently removed? Have you been dreaming about daily skin treatments that leave your skin feeling soft and silky? At Blossom Medical Spa, we can answers your health and aesthetic questions and provide you with individualized medical and cosmetic treatment, from Botox to deep massage, to maintain your health and look and feel your very best. Our Austin spa services are designed to provide the ultimate relaxation experience. All of our facial treatments are designed to deliver results and are customized to your skin without the use of harsh chemicals. Our highly skilled aestheticians provide quick and effective waxing services using the most advanced wax and technique in the industry. Our massage sessions are also customized to fit your needs and can include a mixture of swedish, deep tissue, reflexology, and trigger point therapy to name a few, as well as warm aromatherapy towels. The services we provide and the products used within them are all hand-picked by our owner. We offer natural manicures and pedicures without the use of harsh chemicals. We also offer luxurious seasonal hydrating hand and foot treatments and homemade scrubs, as well as staying current with all of the seasonal nail trends and colors. To book an appointment or spa event, simply visit our online booking site or contact us by phone. Whether you are taking a few hours or a whole day for yourself or to treat a friend or loved one, we have put together our most popular services in order to give you the ultimate Austin salon and spa experience. You can unwind and enjoy spa services while sipping hot tea or get a glam treatment in the salon. We have the perfect salon and spa packages just for you. Are facial wrinkles making you look older than you really are? Most lines and wrinkles that form around the eyes are the result of repeated facial expressions that we use over the course of our lifetimes. With each smile, frown, or raised eyebrow, our facial muscles contract and create ever deepening creases in the skin. As we age, those laugh lines that were once endearing can make us look old, angry, or tired when we’re none of those things. BOTOX, currently the world’s most popular non-surgical cosmetic medical treatment, is one of the most effective ways to reduce lines and wrinkles, especially around the eyes. BOTOX is an injectable prescription medicine that essentially relaxes the muscles. It works to soften wrinkles and reduce lines around the eyes, mouth, and forehead. 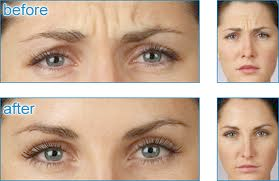 BOTOX is also an effective treatment for eyebrow lift and chin dimples. Although they vary from individual to individual, visible results of a BOTOX treatment typically last from three to four months. The professionals at Willow Medical Spa will discuss all of the details with you at your appointment and answer any questions you may. Blossom Spa Austin is a two treatment room (one massage room, one skin care room), eco-friendly studio spa and boutique. We are often referred to by our clients as their “local hidden gem”. We boast a downtown location, plenty of easily accessible parking, and a relaxing spa environment. With some of the best spa therapists, we specialize in services from facial, massage, professional waxing & makeup application. We proudly retail Eminence Organic products. Eminence is an exotic Hungarian line that brings together high quality ingredients with an old world knowledge of organic herbs and fruits. To compliment great skin, we also retail Mineralogie Mineral Cosmetics. All of our retail, including Eminence and Mineralogie, is available to purchase in store. We’d love to hear from you, contact us by phone or simply book an appointment online. Blossom participates in the Eminence Certified Green Spa program. Each spa that passes the Eminence Green Spa certification must prove that they are actively involved in earth friendly practices such as reusable bags and linens, low voltage lighting, eco-friendly facial & massage products, recycling programs and an assortment of other green routines. We do our best to reduce our footprint and being a part of this program has been a great step in the right direction. We believe that being environmentally conscious is an ongoing process and strive to find new ways to reach practical green solutions to our everyday business practices. Éminence Organic products delivers the highest quality natural ingredients to leading salons, day spas and their clients. Our active products are created using European certified premium quality herbs, fruits, and flower buds, and are proudly free of Parabens, Mineral Oils, Petroleum and Sodium Lauryl Sulphate. Hand-made, cruelty-free without mass production for over 50 years. Born and raised in Austin, Texas, Bob has been a licensed Esthetician for thirteen years and has actively worked in the skin care industry for over fifteen. 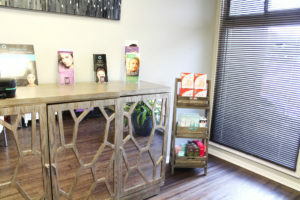 She has spent her career providing facial, waxing, and makeup services in what are considered to be the most exclusive spas in the Austin area. Her vision is to provide quality, relaxing, and results oriented services that are as natural and eco friendly as possible while educating clients in the treatment, maintenance and protection of their skin. Blossom specializes in facial treatments, waxing, peels, body wraps, microdermabrasion, massage, and many others. Contact us or visit our online booking site to schedule an appointment.